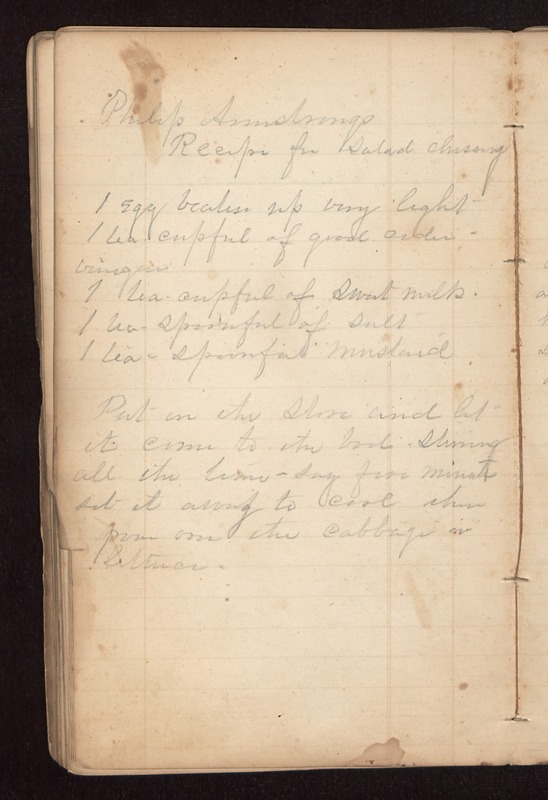 Philip Armstrong's Recipe for Salad Dressing 1 Egg beaten up very light- 1 tea cupful of good cider vinegar 1 tea-cupful of sweet milk. 1 tea-spoonful of salt 1 tea-spoonful mustard. Put on the stove and let it come to the boil, stirring all the time, say five minutes set it away to cool then pour over the cabbage or lettuce.